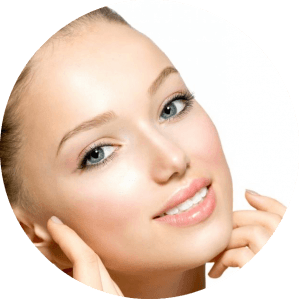 At Dr. Simon Plastic Surgery, we offer many skin fillers to help with your facial rejuvenation. 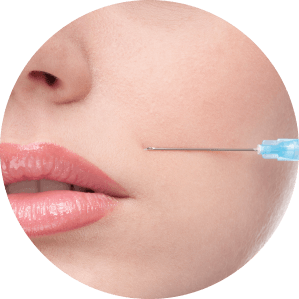 The exact injectable or filler we use is individualized for each patient, based on the location of injection, the desired effect, and longevity. These non-surgical treatments can provide very noticeable improvements in appearance. Achieving the look you desire is as easy as it is quick. The result is instantaneous. No previous skin test is needed, which means that you can have the treatment immediately. The session often takes less than thirty minutes. The time differs somewhat depending on the correction you want to have performed. During treatment, RESTYLANE is injected into the skin in tiny amounts with a very fine needle. When injected into the skin, RESTYLANE produces volume that smoothes the wrinkle or fold, shapes the facial contour or enhances the lips in a natural way. The result is immediate. The method of injecting RESTYLANE is fast and safe and leaves no scars or other traces on the face. 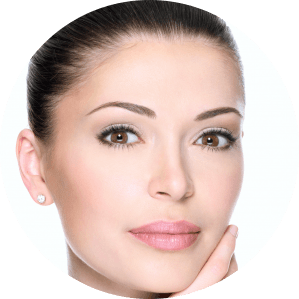 Restylane is an injectable gel which should always administered by a trained, medically qualified practitioner. Restylane enhances your natural looks by restoring your skin’s volume, creating softness and revitalizing your appearance. Youthful skin is rich in hyaluronic acid. As we age, the distribution and function of hyaluronic acid in our skin gradually change, leading to the characteristic signs of aging. Restylane gels work by enhancing your skin’s own stocks of hyaluronic acid, directly adding volume to either soften the signs of aging or enhance your features. Millions of people have used Restylane with confidence. It is the world’s most widely used product based on hyaluronic acid for esthetic enhancement. Restylane safety and efficacy is proven beyond a doubt, with robust clinical data spanning a decade. Adverse reactions to Restylane are rare. The uniquely produced hyaluronic acid gel of Restylane closely resembles natural hyaluronic acid. This reduces the risk of an inflammatory reaction or other side effects. Restylane gives you flexibility and control over your looks. In contrast to some other hyaluronic acid-based products, the hyaluronic acid in Restylane is not extracted from animals. This means there is no risk of transmitting disease or eliciting allergic reactions if you are sensitive to common foods, such as chicken and eggs. Restylane treatment usually fits in well with busy lifestyles, with minimal downtime, and gives results that can be seen instantly.